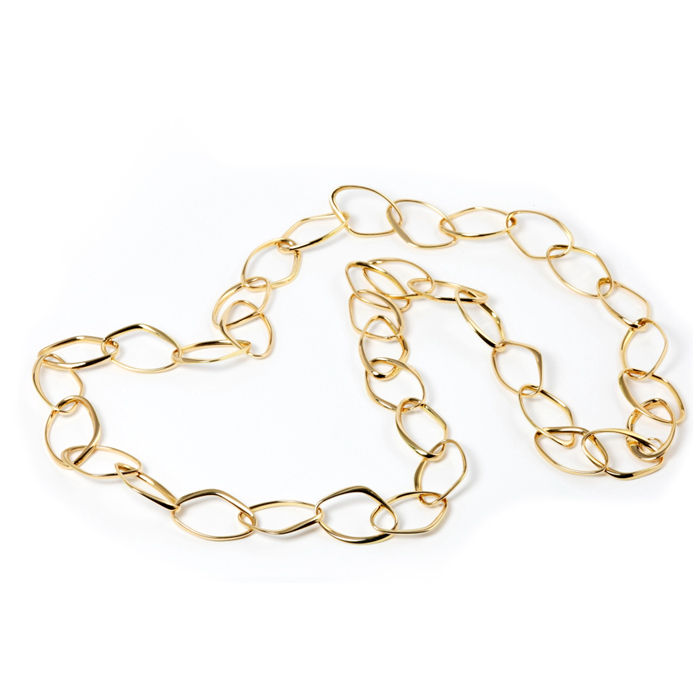 This versatile 32" long lightweight link necklace is a must-have accessory. Sensual Italian gold is pure luxury and an essential for any jewelry lover. Beautiful when worn alone or layered with other necklaces.